Island Labour have agreed a motion to seek commitment from the Labour Party that they would adopt the policy of returning the ferry companies to public ownership as part of the programme of bringing the railway system back into public ownership. 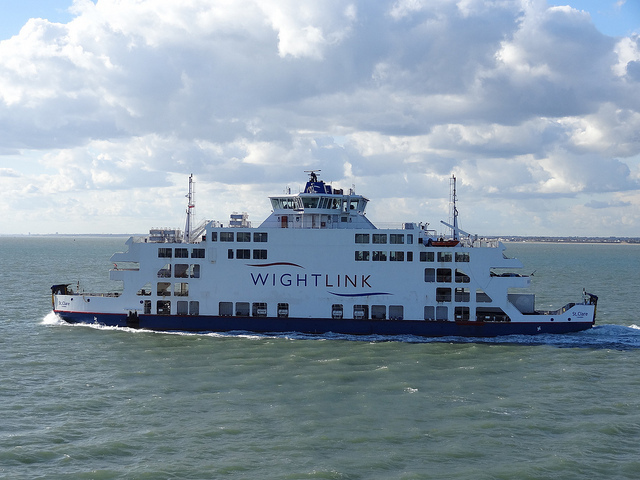 to deliver, immediately after the next Labour Government taking office, rapid regulation to enable vulnerable groups have the right to low-cost cross-Solent travel until such time as the ferries are returned to public ownership. “The next Labour government is already committed to bringing our railways back into public ownership, and running them in the interests of the people of this country, rather than in the interests of shareholders. The ferries were privatised by a previous Conservative government along with the railways. “It was a Tory failure to provide any public service regulation requirements which has led to where we are now. We have some of the most expensive fares per mile anywhere in the world, and a declining standard of service, with many cancellations and reductions in frequency. “Citizens of this county should not have their access to the rest of our country restricted by private companies who make large profits by exploiting a captive market. This is particularly important in the light of the Tories’ continued removal of NHS services from the Island, requiring more and more Islanders to have to pay large sums in order to access the treatment they are entitled to. 20 Comments on "Island Labour pass motion seeking to nationalise Isle of Wight ferries"
Not forgetting that the Scottish government pays huge subsides to run the ferries. What about Hovertravel? Would they – a private company – have to fight against two publicly-subsidised competitors? Or is the plan to force Hovertravel to the wall and create a state-controlled duopoly? Has this been thought through? Red Funnel has always been a private company and you would need to tread very carefully as the running costs do not change by taking the ferries into public ownership. So at best you may trim say 15 to 20% off the fare. You’d also need to make an allowance of the money needed to replace ferries as they age at £30 to £40 million each. Running costs may not change, but invisible shareholders creaming off profits every year would. Last year Red Funnel paid out a £8 million dividend after a profit of £8.9 million. Couldn’t agree more. However, the usual objections would flood in, even if they are ill conceived. If St. Mary’s was capable of providing all the services required, you wouldn’t need a fixed link – in the absence of that, you do. What position are you referring to?